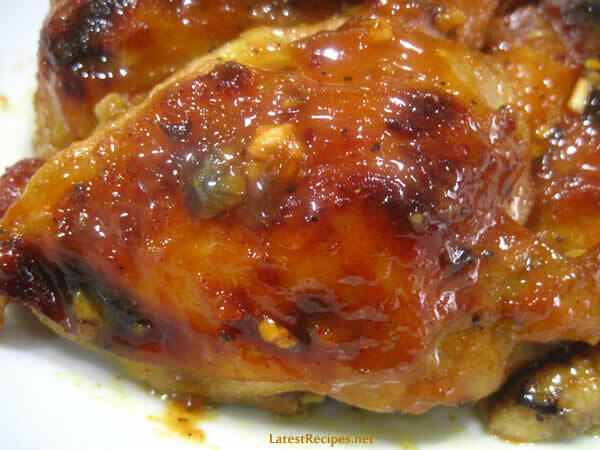 This is similar to buffalo wings ( which you may also bake) but this has more flavor and more meat of course and really hot too. You may add more or less of the hot sauce and chili flakes according to your level of tolerance for hotness (is that the right term for it?) You may marinate the chicken pieces overnight first for more flavor. The recipe that inspired this which comes from Cook’s Illustrated, brines the chicken first before grilling. I can’t find enough time to brine and grill so I have never tried it yet, but I will and I imagine that it would be really flavorful and delicious. Wash chicken pieces pat dry (remove skin, if it bothers you). Combine all marinade ingredients in a bowl. Divide marinade and use half for coating chicken pieces, making sure that you massage it well so the flavors will stick to the meat. Arrange chicken pieces in a baking dish, cover and let chicken marinate for about an hour or two. Bake in 375 degree oven for 1 hour, basting every now and then with the remaining marinade or until rich and glazed. Chicken is cooked when the juices run clear when you prick it in the thickest part. Heat the remaining marinade and serve as sauce on the side. Enjoy! One Response to "Chicken Diablo (Baked)"
Bring it on! You know I love spicy! !